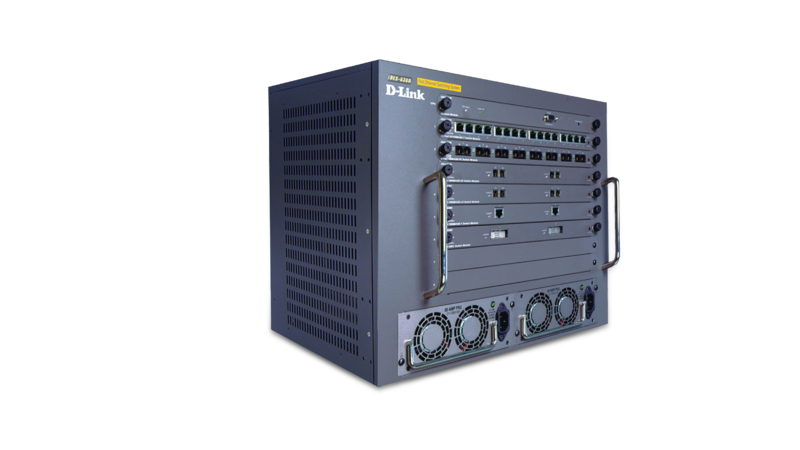 The D-Link DES-6300 is a Gigabit chassis switch that offers true scalability and flexibility. It features packet switching, wire-speed routing, multiple link aggregation and Quality of Service (QoS). The DES-6300 fits in a variety of networking environments and is ideal for any company migrating to Gigabit Ethernet because it supports 10/100/1000 Mbps along with copper and fiber connectivity. Using standards-based routing, the DES-6300 provides instant support for Windows, NetWare, Unix, AppleTalk and Internet environments. Built-in wire-speed non-blocking switch fabric provides hardwarebased packet filtering/forwarding. Packet routing is performed by on-board ASICs, which is many times faster than traditional CPU-based routers. The DES-6300 can be instantly integrated into any existing network for seamless integration of multi-layer packet switching. With multi-layer support for every port, you can flexibly segment the network into domains and sub-domains, using (1) sub-net, user and server IDs to route traffic, and (2) custom filters based on users’ physical MAC addresses to filter extraneous traffic. The user can configure DES-6300 with up to 96 10/100Mbps Fast Ethernet ports, 72 100Mbps fiber ports, 12 Gigabit ports, or a combination of these. Copper and fiber Gigabit ports (SX, LX, and GBIC included) are provided. This flexible configuration allows the user to install Fast Ethernet for workstation connections, copper Gigabit for departmental server connections, and fiber Gigabit for backbone/campus attachments. With Quality of Service based on multi-layer information, workstations and server can be attached to the DES-6300 so time-sensitive applications like video-conference and IP telephony traffic can be prioritized and queued. This product was phased out on: 2005.07.21. This product's last date of support is on: 2010.07.21.